Skin tags are usually harmless. Your body reminds you of advancing age in numerous ways, including the development of skin tags, or acrochordons. These noncancerous, fleshy growths typically develop in middle to late adulthood and pose no inherent threat to your health. Skin tags, however, may cause discomfort if they catch on your clothes or grow unusually large. Although the Internet is rife with home remedies to get rid of skin tags, see your doctor to have these benign tumors evaluated and removed safely. Preservation of your good health is worth the time and effort. You doctor will cleanse the skin tag and surrounding area prior to removing the growth to reduce the chance of infection. A local anesthetic may be used to numb the skin before removing large skin tags. Most acrochordons, however, can be removed painlessly without numbing medicine. Sterile scissors or a surgical scalpel is used to remove the skin tag. Pressure applied to the site controls the small amount of bleeding that typically occurs after removal of a skin tag. Freezing, or cryotherapy, is a common option for getting rid of skin tags. Your doctor applies liquid nitrogen to the growth for a few seconds, freezing the tissue. Skin tags typically die and fall off spontaneously after cryotherapy treatment. Call your doctor if the skin tag does not drop off within a few weeks after the initial cryotherapy application; you may need an additional freezing treatment. Your doctor may opt for electrocautery to remove your skin tag. Your doctor cleanses the skin tag and surrounding area with disinfectant prior to the treatment. A small probe with an electrical current running through it is applied to the base of the growth. The current burns through the stalk of the skin tag, accomplishing removal of the growth. Bleeding does not typically occur after electrocautery treatment. Friction caused by tight clothing may contribute to the development and irritation of skin tags. Wear loose-fitting clothing if you are prone to forming skin tags. 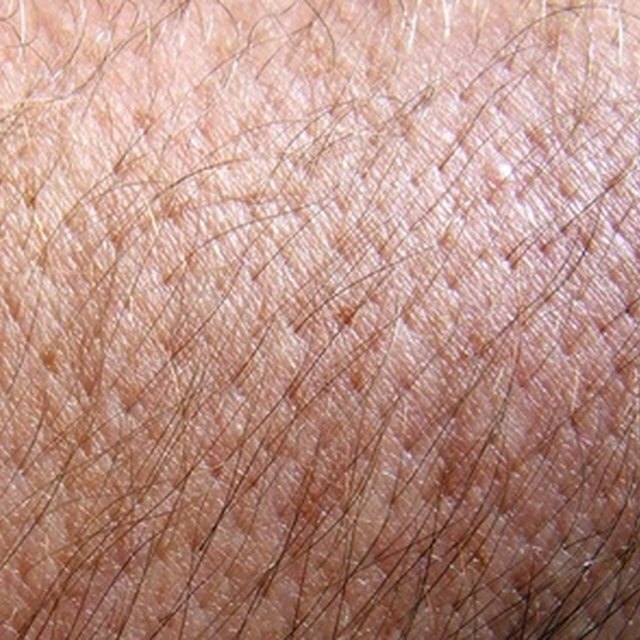 Other types of skin growths can resemble skin tags, including warts and certain skin cancers. Additionally, skin tags are sometimes a sign of a serious underlying medical condition such as diabetes or polycystic ovary syndrome. For these reasons, have all new skin growths evaluated by your doctor. Do not attempt to cut off a skin tag at home. Cleaning with rubbing alcohol or passing a cutting instrument through a flame does not get rid of all germs. Using scissors or a knife to cut off a skin tag can lead to a serious skin infection. Do not use over-the-counter wart removers to freeze a skin tag at home. Infection, skin discoloration and permanent scarring may result. Never attempt to remove a skin tag near your eye; accidental damage to your eye may threaten your vision.